Hit-and-run accidents are among the most demoralizing types of collisions. It is bad enough that you’re suffering physical pain and worrying if you will ever get better. It is worse to know that the person who caused the crash failed to own up to his/her wrong. The anger does not end there. If the hit-and-run driver cannot be discovered, then you have to look to your own insurance carrier for relief. At Harris Lowry Manton LLP, our Atlanta hit-and-run car crash attorneys can calmly explain your options and rights. We work with the police and investigators to try to locate the other driver. If the driver is found, we demand payment for all of your medical bills, lost wages, and pain and suffering. If the driver cannot be found, or does not have insurance or enough insurance, we then work to get your own insurance company to pay your damages through the uninsured or underinsured provisions of your policy. In hit-and-run cases, it is important to contact the police and have them come to the scene of the accident so that they can get your information and write a report. The police can also arrange for emergency medical services or for an ambulance to take you to the emergency room if necessary. They can also contact family and friends on your behalf. If possible, you and the police should get the names and contact information of any eyewitnesses. You should also take pictures of the scene and of your vehicle. Sometimes, the driver can be identified based on your property damage if he/she seeks to fix a damaged car. Our Atlanta hit-and-run injury lawyers and investigators may be able to piece together enough information to determine who the other driver was. If the driver is found, he/she is likely to be charged with a crime. The civil complaint for damages will almost always include a claim for punitive damages. If the hit-and run-driver can be identified and has insurance, then a claim can be brought against the driver or the owner of the vehicle. In most cases, though, the hit-and-run driver does not have insurance, which is often why they fled the scene. 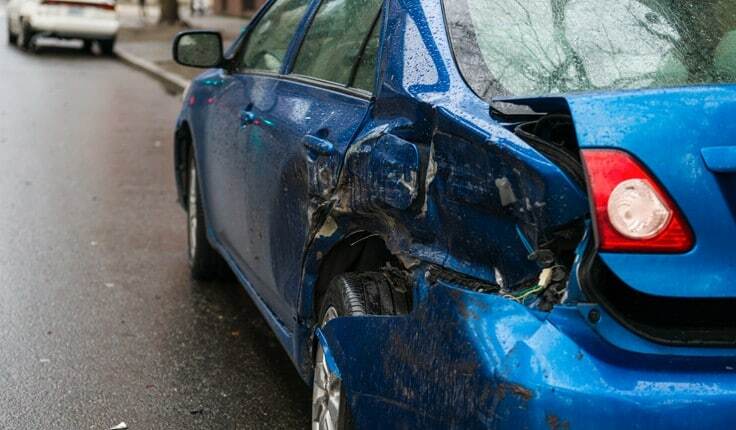 Most victims of hit-and-runs rely on their own policy to get compensation for their injuries. In Georgia, car owners are required to have at least in $25,000 in uninsured and underinsured motor vehicle insurance per person and $50,000 per accident. Drivers should carry more than the minimum amount of insurance, since just one night in a hospital can exceed the minimum policy limit. Do not despair if a hit-and-run driver causes you physical harm. There are ways to investigate who caused the car accident. There are personal insurance options. It is still necessary to prove the other driver caused the crash before you get compensation for economic loss and physical and emotional pain and suffering. Make an appointment today with an Atlanta hit-and-run attorney at HLM. You can reach us by phoning 912-417-3774 in Savannah, 404-998-8847 in Atlanta, or completing our contact form. First consultations are free.